We have locations throughout New Mexico and Arkansas. Farmington, Texarkana, Fort Smith, North Little Rock, Concord, Paragould, Pine Bluff, Russellville, El Dorado, and Jonesboro - Click below for more information. 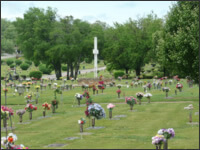 Those who plan for a ground burial will have the ability to select where the plot is located within the cemetery grounds and what type of monument they wish to have. 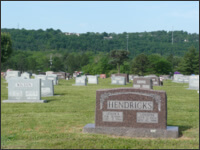 Another popular choice is the family lot, which generally includes four or more individual gravesites to be occupied by immediate family members. Private Estates are also available. These are prestigious structures designed and built exclusively for the use of an individual family. Mausoleums provide an elegant alternative to ground burial. 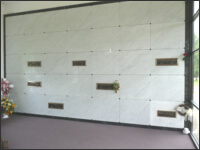 Numerous options are available to accommodate different family preferences, from granite-encased outdoor columbaria to indoor, climate-controlled mausoleums. Polished marble or granite seals each crypt or niche, and dignified decorative options are available such as flower vases. Because mausoleum crypt and niche spaces are above ground, no burial vault is required. 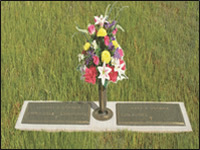 Upright monuments are among the most common memorial for ground burial options. These are available in a variety of shapes, sizes, designs and materials. The most common materials used are stone, granite, bronze or a combination. These provide ample space for engraving or plaque attachment and can be used in tandem with flat bronze headstones. This is an exceptional option to create a beautiful, longstanding memorial. Flat Bronze headstone plaques are an excellent alternative to upright monuments and also work wonderfully in tandem to create beautiful memorials. These memorials can be tailored to meet specific needs as it applies to style, shape, size and engraving. 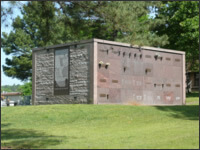 They can also be used to commemorate Mausoleum and Cremation Niches. We offer an array of Vault products to meet a variety of needs. 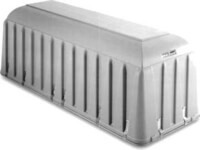 Our two most popular products are Sealed Vaults and Urn Vaults. All products offer modern technology and superb quality.